Crafted with remarkable care and attention, our roller and blackout blinds feature both economical materials and opulent luxury fabrics. Based in Filton, Bristol, our experienced company provides a whole host of blinds tailored to a variety of budgets. An enormous selection of textures, colours, and patterns ensures that every customer will find truly eye-catching blinds. Feel free to stop by our showroom to discover your favourite designs before making a purchase. The roller blinds we provide are available with a number of different controls. A standard chain is available, as well as child-safety devices that make our blinds fit for growing families. 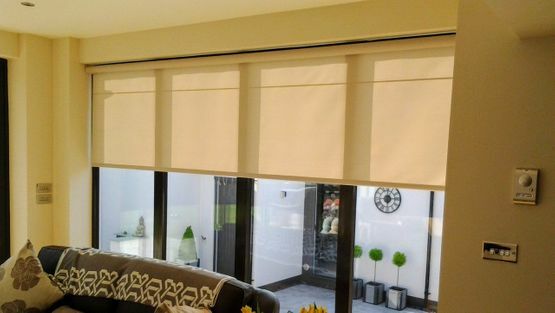 Spring rollers and removable rods are also available, as well as electronic blinds that are ideal for people who have difficulty reaching for their blinds. 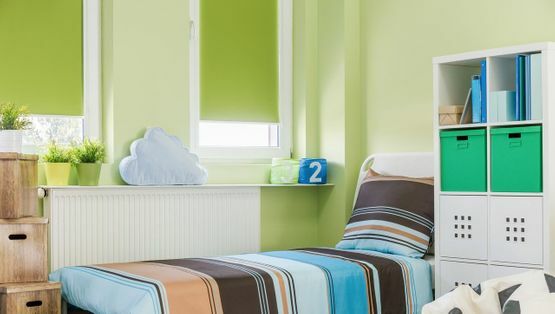 A brand-new kind of roller, known as a double roller blind, is also available to purchase. Designed as a cross between a roller and Venetian blind, these effective screens are available alongside blackout, fire retardant, and Velux™ roller blinds. Because we personally craft the roller blinds we offer, we are not limited when it comes to measurements. Blinds both large and small are capably created by our professional company. Plus, our skilled team provides repairs and maintenance to make sure your blinds are kept in peak condition. Bespoke Roman blinds are also available. At Bristol Blinds, efficiency is one of our top priorities. That's why we work to keep you well-informed about the progress of our services. What's more, we're happy to offer our expert advice when you're unsure about what product is most appropriate for your needs. Contact our blind installers today, in Filton, Bristol, for further details about the excellent Roller blinds we install.